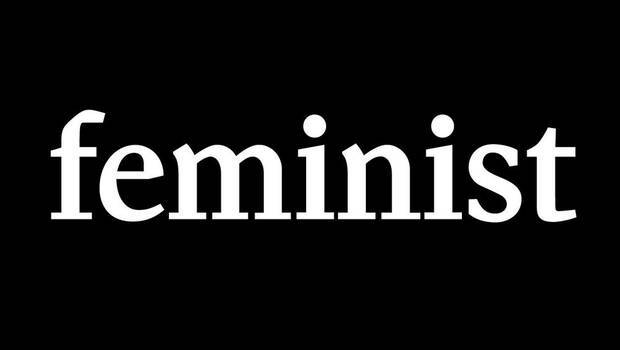 A person who believes in the political, social and economic quality of the sexes. That is the entire definition. So please, please never say to me (as an friend of mine did this week), "I am not a feminist because all I want to be in life is a 1950s housewife." If that is what you want, absolutely brilliant, go for it! But the whole point of feminism is a person (not just woman) can be whatever they want to be and are given equal footing to do so. A woman shouldn't have to feel like she is constantly fighting for respect and for her opinions to be heard simply because she is a woman, and a man should NEVER feel like he cannot cry or show his emotions. This thing works both ways. Feminism has become far too synonymous with man-hating, and if this piece of writing changes one mind, just one, then I will feel like it was worth it. Emma Watson can put it far more eloquently than I ever could but I want my voice to be there, standing up for what I believe in. I sincerely hope I am telling you all what you already know, but for that one person, please rethink the next time you go to say you are not a feminist and please don't. Please just say you are and if you get scoffed at, know that they are either ignorant or not a very nice human being and maybe, just maybe, try and educate them in a pass it forward kind of way.